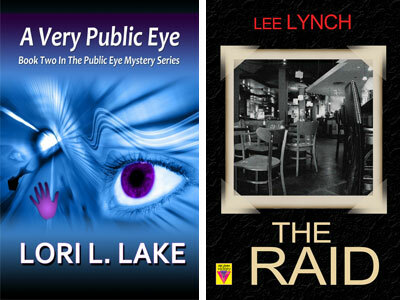 Legendary literary pioneer Lee Lynch and mystery novelist Lori L. Lake wax poetic about creating compelling characters, writing for a mainstream audience, and the importance of those lesbian scribes who came before them. Lake: Do you use the typewriter? Or did you just have it bronzed? Lynch: [Laughs] It's 2.25 inch by 2.25 inch by 2 inch. The carriage and roller move, but I might have trouble working the stationary keyboard! Lake: How funny. The sci-fi writer Jean Stewart gave me a little typewriter like that with Snoopy typing. I keep it on top of my computer screen for encouragement. Lynch: I have a flat screen, so I keep mine on the base. Obviously this will become a lesbian writer tradition. You mentioned keeping on despite discouraging forces. I kept on because of them. The writing got me through a lot, and I used the tough times to enhance the writing. Lake: See, this is why you’re a hero to me. You’ve kept on writing despite bad times, and I must admit I haven’t always been able to use my misfortunes to my writing advantage. There’s a reason why it was over three years between Shimmer and Like Lovers Do. I couldn’t write for a very long time. Lynch: I suspect you will write about those times eventually. They need to work their way through our hearts and brains until they find their right form. You might have to reexperience some of those painful emotions, but in so doing, your readers will find your catharses valuable for their own lives. Your short stories, for example, are so powerful they are unforgettable. They hit me in the heart. Lake: That means a lot, coming from you. Thank you. I do find it easier sometimes to deal with hard topics in shorter stories, although the novel I just finished in the Public Eye series explores some unexpected emotions about breakups that I didn’t realize would push to the forefront. Half the time I have no clue what the heck is going to rise up out of me. I guess that’s part of the fun. Do you usually have a plan about what you’ll end up writing about? Lynch: No, I have no idea either. I have index cards in every nook and cranny of our house and my car, not to mention in my backpack and pocket vest and cargo shorts. Elaine makes sure they’re available places I don’t think of, like on the dryer and porch. Less often I’ll use electronic gadgets too, as I can cut and paste from those, but I can’t seem to get in the habit. To answer your question, I never have a plan. At least not anything formal. I hope that doesn’t show. I might have a character in mind or, more often, a setting. Like a plot of land with a great view. and I start building a story house that reflects the landscape. Anyway, you mentioned having a deadline in September. What are you finishing? Lake: Now that the Public Eye book is off to the typesetter, I’ve returned to the fourth book in the Gun series, which is called Jump the Gun. I’m about halfway through and cranking toward the end. Actually, I already wrote a lot of the end and all of the first third, so it’s just the process of writing the middle to finally reach the end that’s going slowly. If I just keep at it every day, I’ll have the first draft in a few weeks, then I can work on revisions and get it to the editor soon after. Lynch: Do you have the next project and the next in mind? I find stories tripping over themselves to get out into the world. Lake: Oh, yeah. I’m tripping over novels right now as well. I’ve got six or seven in various stages of disrepair. Next up I want to write a romance called Eight Dates. As soon as possible after that, I can’t wait to write the third book in the Public Eye series, which is about a woman soldier who’s recently returned from Afghanistan and is accused of murder. I love her character. She’s positively haunting me, and I can’t wait to find out more about her in the writing. Lynch: Well, get a move on — we’re waiting! You sound just like me in terms of ideas and a rush to get the stories on paper. Lake: What are you working on right now? Lynch: I recently sent off my final proof of The Raid, which is due out from Bold Strokes Books this month. Lake: That’s fabulous. I’m so happy to hear that. Lynch: It started off as a play that was actually performed. A reader, Frizz, wanted me to write more about the old days, and the play was set in the early ’60s, so I thought I could whip it into a novel in a couple of years. Well, I did, but gosh, it was a more extensive project than I thought and tripled in size. I follow a group of characters who know one another from a bar through a raid and its aftermath. [It’s] my first attempt to portray violence against gay people. Now I’ve started Rainbow Gap. I wanted it to be a simple romance. That’s not happening. It may be the first of a quartet of books about a character introduced in another book. But I can’t talk about it or I risk destroying the whole project. Lake: I learned the hard way that it’s best if I don’t talk very much about a book until the first draft is complete. The times when I’ve blabbed away about it, I’ve ended up losing the urgency to write it — ended up feeling like a set of bellows with all the wind let out. Lake: I know I’m driving people crazy sometimes because they want me to talk about the plot and the characters or even just the themes, but I’ve become very cautious so that nothing interferes with a story in progress. Lynch: You teach writing. Does that ever interfere with telling your own stories? Lake: Only in terms of time spent in preparation. When I first pull a course together and also for the first week or two of teaching, it takes a lot of time and energy, and that takes focus away from my own writing. But once I get into the schedule of teaching a class, I love it. The students’ enthusiasm totally infects me, and I usually end up writing a lot myself. I don’t mind doing workshops, but I very much enjoy teaching over a period of time — eight or 10 or 12 weeks — because I like the ebb and flow of it. I also love to have the chance to see how each writer progresses over time. When I’m able to assist writers with their craft and technique or help them to shape and grow a manuscript, it makes my heart very glad. Lynch: We need that. I believe you’ve taught at the Golden Crown Literary Society conventions. Lake: I have — and also at the Loft in Minneapolis and various other places as well. Lynch: Thank you for helping dykes to write about our lives. The more stories we write down, the harder it will be to silence us. Lake: No more silence. I think we need to be a loud mob. Lynch: May you live and write long. Lake: Right back at you. I can’t wait to read your next book. And the next one. And the next. Thank you for persevering over the years, Lee. It’s made a difference in a lot of lives, especially mine. 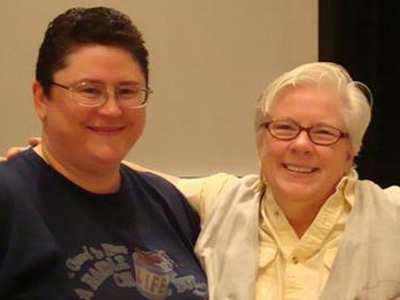 You’ll always be my spiritual writing godmother, and that makes me very happy.